RX took shape in a New York mental hospital where author Rachel Lindsay was being treated for a manic episode courtesy of bipolar disorder. And though it looks like it probably took forever to complete, it’s a quick, engrossing read. Beginning at an ironic job selling ads for depression meds—“I found myself passing for sane in the most extreme scenario I could imagine”—Lindsay’s simple but elaborate artwork expertly illustrates the undefined areas and still-experimental treatments for one of the most confounding diagnoses in the world. Intentional or not, RX serves as an impromptu instruction manual for people with bipolar disorder, friends and family of people with bipolar disorder, and anyone beholden to prescription drugs to keep them functional. It even manages to be funny. In fact, my only wish is that it were longer. 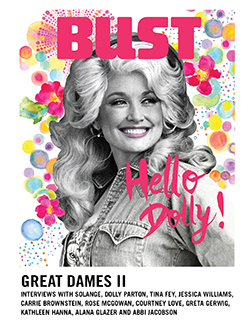 This article originally appeared in the March/April print edition of BUST Magazine. Subscribe today!